Virtual Weight Management teamed with Visual Compass Web Design to create an impactful first impression. 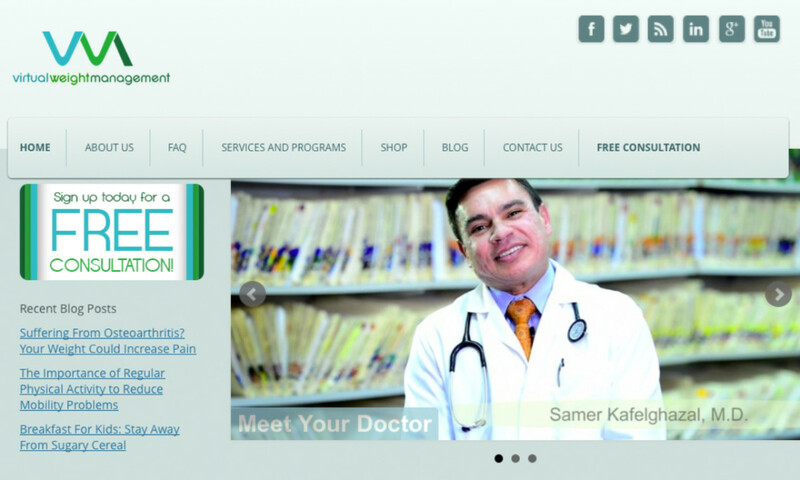 With Dr. Sam’s already successful Middlebelt Medical practice, VC Web created an original logo design, and built a website to connect new patients to VWM’s comprehensive weight management program. Thoughtful navigation and our integrated HD video offer new members every reason to give the program a try.